In addition to LUMIX DMC-G2, Panasonic has also announced its new compact LUMIX G10, which the company claims as the world’s lightest digital interchangeable lens system camera equipped with a viewfinder, recording 720p HD video in Motion JPEG format at 30 frames per second. Panasonic LUMIX G10 that compatible with Micro Four Thirds System lenses will come with the newly announced LUMIX G VARIO 14-42mm/F3.5-5.6 ASPH/MEGA O.I.S. lens as part of its kit. 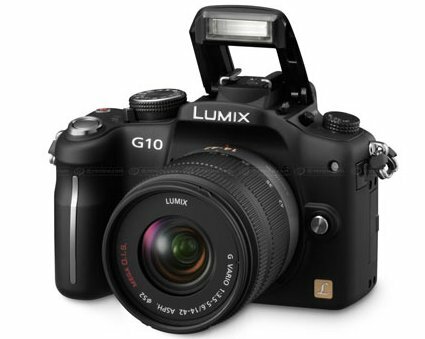 Update: Panasonic LUMIX G10 is scheduled to hit the market in coming May 2010 for a suggested retail price of $599.95.